Banner ads, brochures, branding materials, and templates have many differences, but their common goal is to deliver a distinct, refined message that stands out and catches the eye. It’s often hard to attract prospects and stand apart from competitors if your designs look just like the everyone else’s. That’s why widely-used fonts and standard typography styles may not always be the best choice for your projects. Creating custom type is great way to attract the viewer and achieve a unique, eye-catching look for your design. 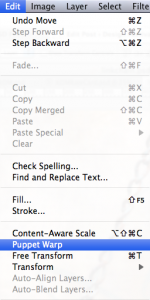 But, creating every letter and serif of your own custom font can be tedious and extremely time consuming. Instead of pouring over the intricacies of your own hand-made font, you can use the the Puppet Warp tool to take any linear image and bend it to form custom lettering. Without using the Puppet Warp tool, trying to create this text could take hours, but using the right Photoshop techniques, you can have unique custom lettering in just a few minutes. The next step is to remove your image from its background. Hit command/ctrl + “J” to copy the background layer, and hide the original layer. Select the quick selection tool and click on the areas that you would like to remove. Hold the shift key to add to your selection, and hold the alt/option key while clicking to subtract areas from your selection. A good way to make careful selections while still leaving room for easy editing is to click the mask icon to mask out your selection. This will mask out your chain, which is far easier than tracing around each link. 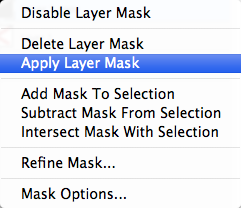 To invert your mask, simply click on the mask icon, and hit command/ctrl + “I”. If the selection you made isn’t perfect, use the brush tool to make adjustments. Make sure the mask icon is selected, and paint with black to mask out areas that you want to hide. Use white to reveal areas that you didn’t mean to mask out. If your selection is too rigid or harsh, hold down the alt/option key and click on the mask icon to switch your view to the mask. 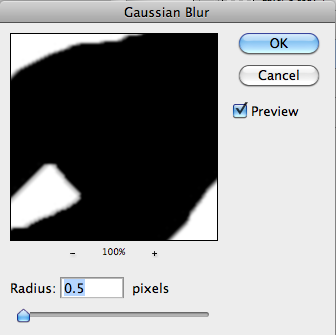 To soften the edges of your mask, go to “Filter” > “Blur” > “Gaussian Blur.” Choose something small, such as 0.5px or 1px. 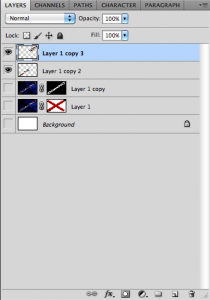 Click the layer icon to go back to your normal view. Once you have your image masked how you want it, right-click on the mask icon and choose “Apply Mask.” This will apply your mask, leaving just your image with no background. 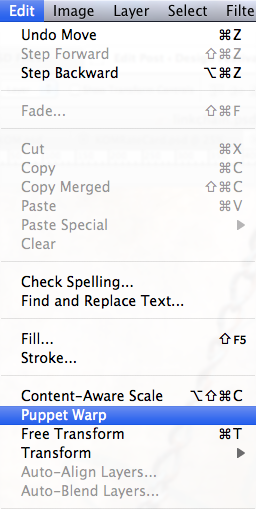 If we were creating individual letters, then one chain image should be enough. But, since we are going to have multiple letters strung together, we will have to create a longer version of your chain image. 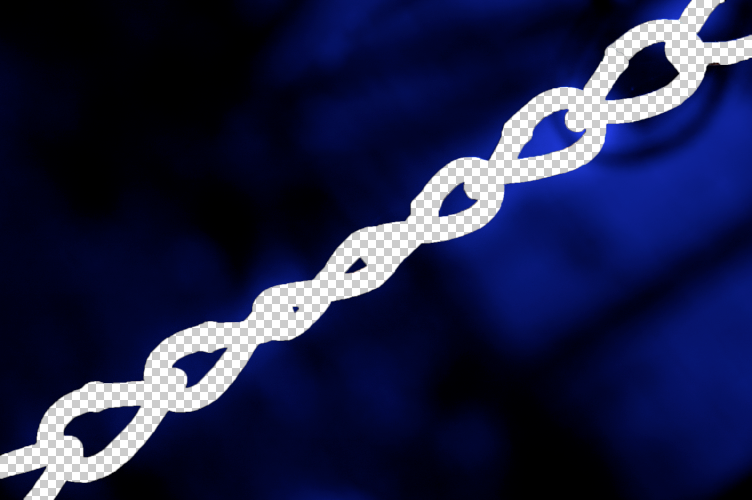 Duplicate the chain layer and overlap the ends so that it looks like one continuous chain. 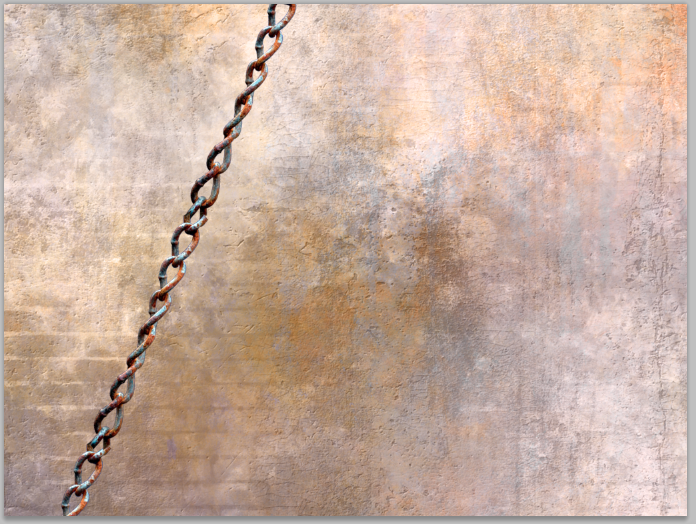 For this step, I merged three chain layers together to make a single long chain. 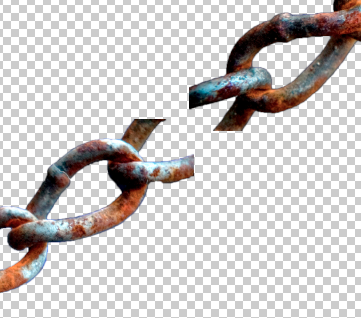 Once these chains are merged, then you will want to hit command/ctrl + “T” to transform your layer. Scale the chain down so that it’s thin enough to bend into lettered shapes. Don’t worry if your image goes off of the canvas. Duplicate this thinned, elongated chain several times so that you have them when you need them for letters, or if you make a mistake. Create a new document to the size of your choice. I created one that is 1024px by 768px in dimensions. 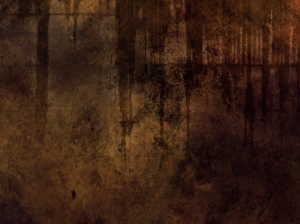 For this image, a gritty background texture would be a good choice. 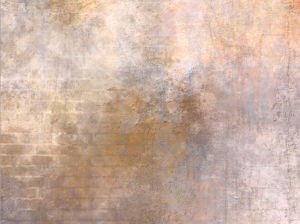 You can go anywhere online and find a grunge background texture. This background is going to be created from two images. Bring in the first image and leave it as-is. 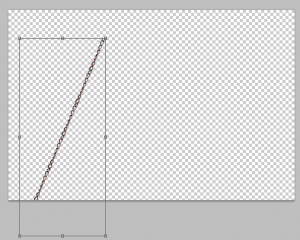 Bring in the second texture and make sure that it is above the first texture. This second background might be too light or dark for the project, so change the blend mode to “Color” and play with blend modes to get a background that suits your purposes well. Go back to your original document and drag your chain image to the new document. Click the eye icon on the Layers Panel to hide this layer for now. If you are going to create your own type, the style really depends on the application. I chose a script, or a cursive-style typeface, because it flows from one letter to the next. Scriptina Pro is a good choice for this application. The type layer is only meant to be a temporary guide, so I made sure that is is below the chain image, and I set the opacity to 30%. 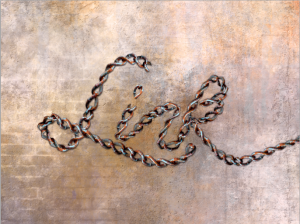 Hide all of your chain layers except for one, and position your chain’s length where the longest stroke of your letter is. For the “L”, it would be the vertical stroke. To mold your chain into the shape of each letter, go to “Edit” > “Puppet Warp.” Your cursor will change from your current tool to an icon that looks like a thumbtack. 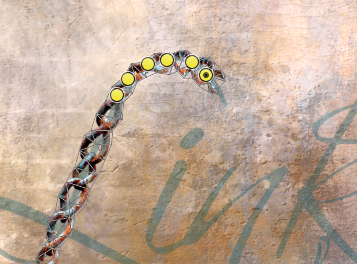 With the Puppet Warp tool, you will be able to add pins to your image. These pins will allow you to create a pivot point, or a point to manipulate your image. Your image will also have a mesh-type overlay. 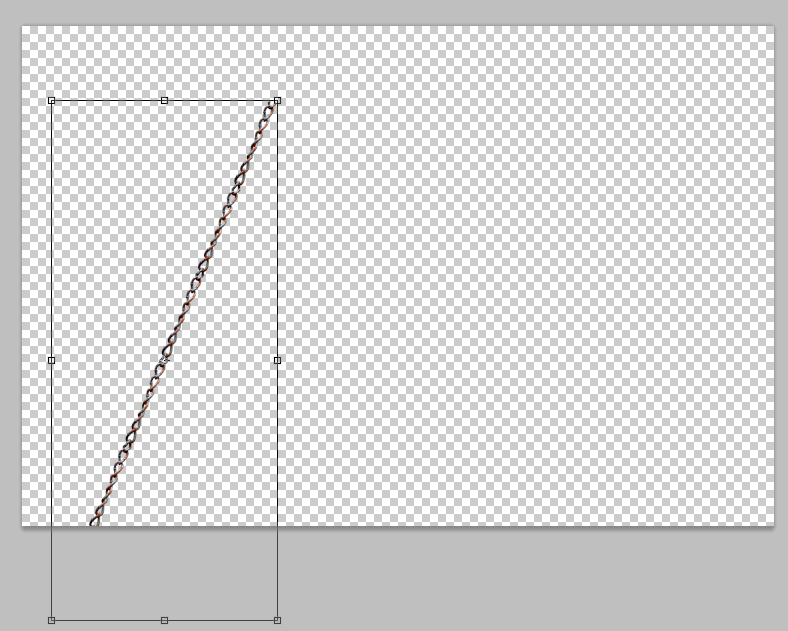 This shows the area of your layer that has selectable pixel information. You can place as many pins as you would like, but the best method for conforming your straight image to a curved contour is to create pins at the beginning, middle, and end of sharp turns within your lettering. 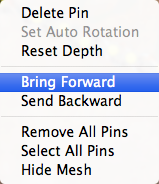 You can pivot your image depending on the angle in which you click and drag your pin. 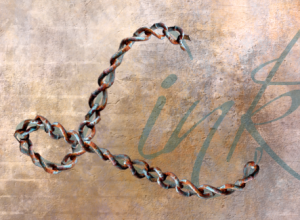 Repeat this process for your chain, pivoting your chain to follow the contour of each letter. 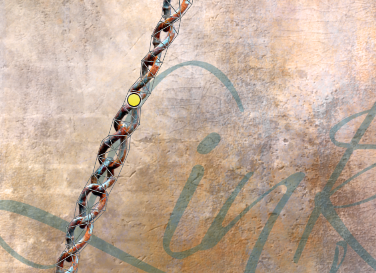 I created a pivot point on the chain wherever the chain overlapped itself, as illustrated below. Where parts of your chain overlap, you can control which part is on top. 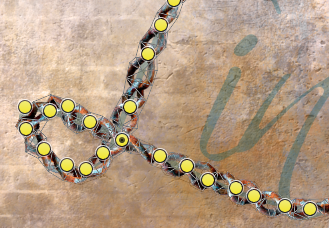 Select the pin where your chain overlaps, right-click on it, and bring it forward or backward to achieve the desired overlapping. If you created a pin that you aren’t happy with, simply right-click it and select “Delete.” Keep in mind that once you click on another tool and click “Apply,” you can’t go back and edit those pins. That information will no longer be available. If you end up with more chain than you need, simply erase the excess chain until it ends where the type ends. Make another chain layer visible, and use the same methods to bend the chain around the contours of the last three letters. 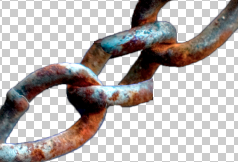 Since they are all connected, we will use one long, continuous chain. 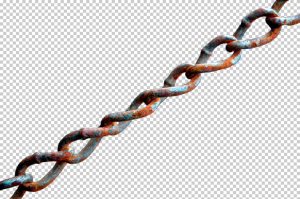 If you are having trouble bending the chain in the right direction, add a pin after that point as well as further down the chain to help contour the chain material. Double-click both chain layers and add a small drop shadow to each one. Set the distance to 0px and the size to 5px. 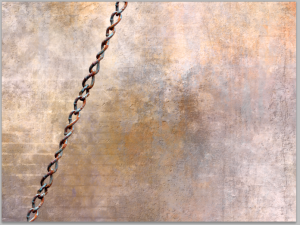 This will give your chain layers a little definition and dimension against your background texture and make them stand out a little more. Below is the completed exercise. Your can form almost any type of linear material into custom type easily with the Puppet Warp Tool. The effect is bold, unique and illustrative, and the concept can be employed in branding, logo design, printed materials, and a wide variety of other designs. Can you share any examples of lettering formed with unusual materials?